Dimensions are 67mm up from 65mm for the valve diameter and the tapered entrance starting at a diameter of 72mm all maximum size. 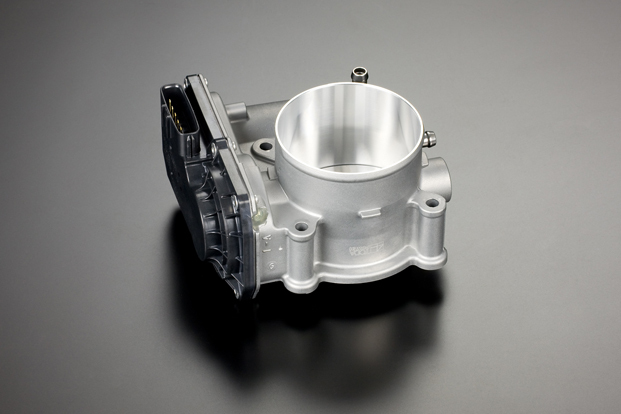 With the throttle controlled via drive by wire, the throttle shaft has not been modified to be thinner ; this is to increase the life of the single throttle body by retaining a more rigid shaft. 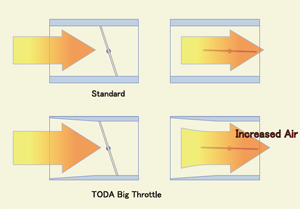 To compensate for this the throttle diameter was enlarged to the maximum possible size.